What gives your skin its unique colour? There are many shades of skin colour ranging from very pale to a deep, rich brown. The colour of your skin stems from cells called melanocytes which produce melanosomes, containing the natural pigment, melanin. The more melanin your skin makes, the darker your skin will be. All shades of skin are beautiful, but a common skincare concern is when skin tone loses uniformity and becomes blotchy and uneven. Minor scratches and injuries to the skin. Cleanse twice daily to remove oil and dirt that can clog the pores and cause break-outs. Be sun savvy – since sun exposure is one of the major culprits, protect your skin against damage. Use a face cream with an SPF and, wherever possible, avoid being in direct sunlight for extended periods. Remember, the winter sun may not be as hot, but it can still cause damage. Look for products that are specially formulated to help improve and prevent uneven skin tone. The new JOHNSON’S® Even Complexion range is specially designed to help improve your skin's natural complexion and help reduce the appearance of dark marks and blemishes in just 4 weeks¹. 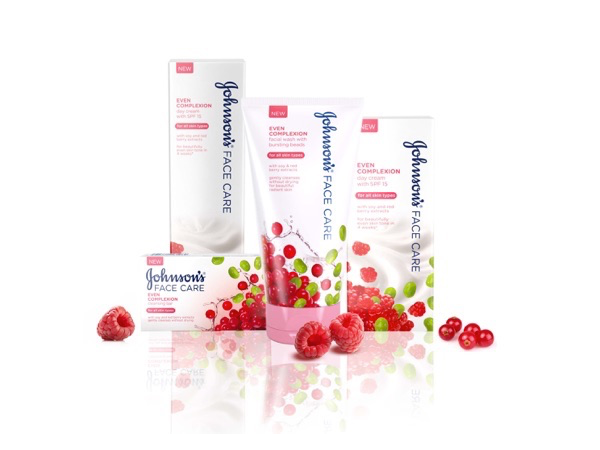 It contains skin-loving soy and red berry extracts to help enhance skin radiance, smoothness and brightness. The range includes a Face Wash, Cleansing Bar, Day Cream SPF15 and a Night Cream. ¹ Clinical Assessment / 33 women/after 4 weeks using once per day. ®Trademark © Johnson & Johnson (Pty) Ltd 2015. Talk to us on share call 0860-410-032, email jnjza@its.jnj.com or SMS JNJ and your comment to 083-293-3273.